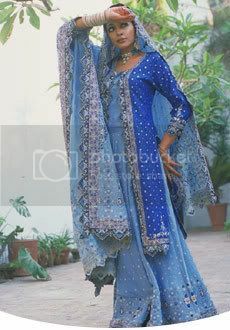 Muslim women looking for trendy bridal wear should take a look at some of the latest Indian Muslim bridal wear designs. 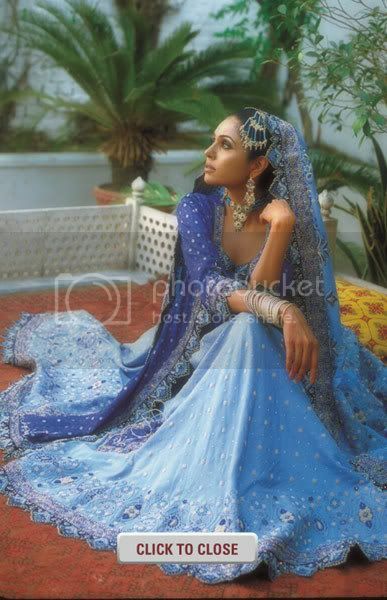 The designs are exquisite, typical of Indian clothes, but also provides the modesty needed for a Muslim bride. Check out some of the latest designs! I can't imagine why anyone would think this kind of dressing is suitable for a muslim woman to wear in public. Especially on her wedding day. Dear sister, have u not come across hadiths and verses of the Quran that command you to cover every part of your body except the part which is apparent? Did you know that the companions of the Rasul (PBUH)learnt from him that the apparent parts are just the face and hands? Do you know what trials you women put men through even with you body properly covered? What do you think when the body is partially naked? 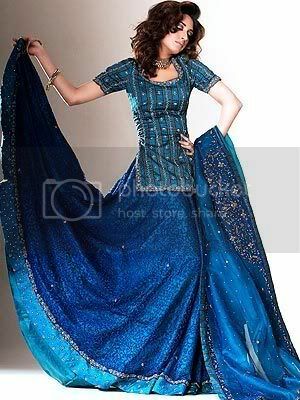 hi i just wanted to know if there is a website with the blue lehenga the first one on this page? Gorgeous ma sha Allah! I especially like the last one :).